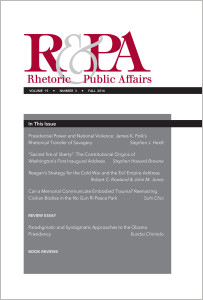 Rhetoric & Public Affairs is an inter-disciplinary journal devoted to the history, theory, and criticism of public discourse. Published quarterly, the journal explores the traditional arenas of rhetorical investigation including executive leadership, diplomacy, political campaigns, judicial and ..
Institutional, International & Digital Subscriptions available. 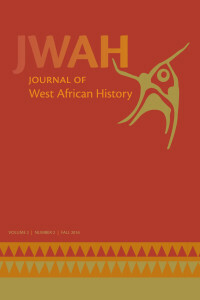 The Journal of West African History (JWAH) is a new, important, initiative in the field of African Studies published by Michigan State University Press in collaboration with Michigan State University's African Studies Center and History Department. 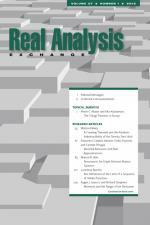 An interdisciplinary peer-reviewed research journal..
Real Analysis ExchangeThis biannual refereed mathematics journal covers real analysis and related subjects such as geometric measure theory, analytic set theory, one-dimensional dynamics, the topology of real functions, and the real variable aspects of Fourier analysis and complex analysis. 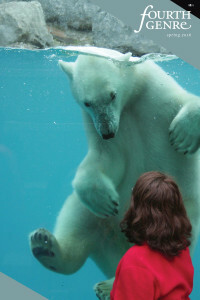 The firs.. 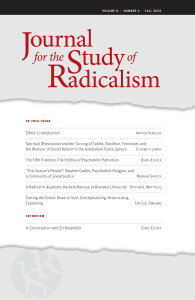 The Journal for the Study of Radicalism engages in serious, scholarly exploration of the forms, representations, meanings, and historical influences of radical social movements. With sensitivity and openness to historical and cultural contexts of the term, we loosely define "radical," as distinguish.. 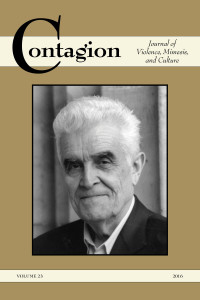 Contagion is the journal of the Colloquium on Violence and Religion (COV&R), an international association of scholars founded in 1990 and dedicated to the exploration, criticism, and development of René Girard's mimetic model of the relationship between violence and religion in the genesis and m..
FROM THE EDITOR — "As incoming editor of Northeast African Studies, I am delighted to announce that the journal resumed publication in 2010. 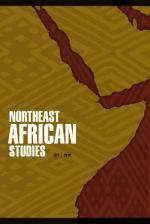 This distinguished journal was founded and edited for more than 20 years by the late Harold Marcus, whose energy and dedication to the scholarly study of Ethio..
CR: The New Centennial Review is devoted to comparative studies of the Americas that suggest possibilities for a different future. 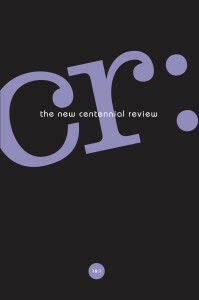 CR is published three times a year under the editorship of Scott Michaelsen (Department of English, Michigan State University) and David E. Johnson (Department of Compar.. Sponsored by the French Colonial Historical Society (FCHS), French Colonial History is an annual volume of refereed, scholarly articles. The journal covers all aspects of French colonization and the history of all French colonies, reflecting the temporal span, geographical breadth, and diversity of ..
We invite you to experience Fourth Genre: Explorations in Nonfiction, a journal devoted to publishing notable, innovative work in nonfiction. Given the genre's flexibility and expansiveness, we welcome a variety of works ranging from personal essays and memoirs to literary journalism and personal cr..